When we want to host an event or a program yet there isn’t enough resources to make it a success, what resorts do we tap into? Well, for some, applying for a loan at the bank or any financing establishments is an option, while others who are practical and ingenious, they go with sponsorships. Sponsorships are not something to be ashamed of. Even major businesses do it. However, getting one is not an easy task. You need to have a set of skills like convincing powers and magnetic aura. 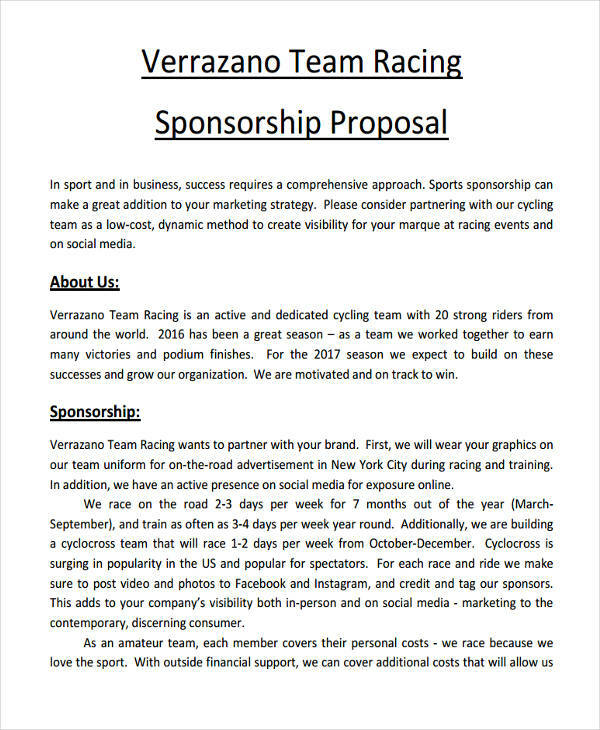 There is one other solution, though, and that is to write a sponsorship proposal. It might be hard, but the benefits are endless. 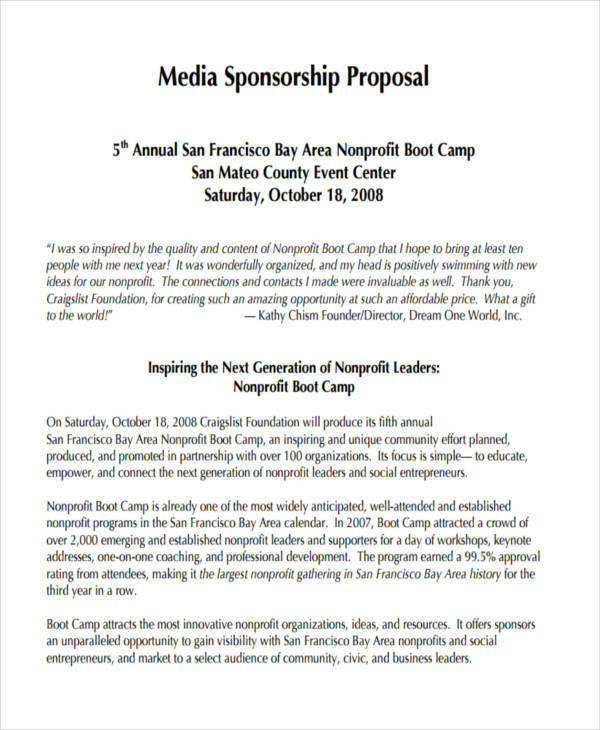 A sponsorship proposal is a document that is written with the purpose of luring benefactors to sponsor an event, program, or a project proposal. 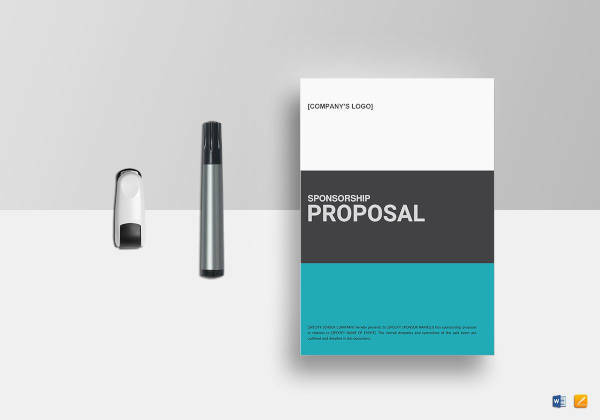 This type of a proposal focuses on the idea of securing a sponsorship when there is not enough aid to support a project and at the same time selling benefits to the client. 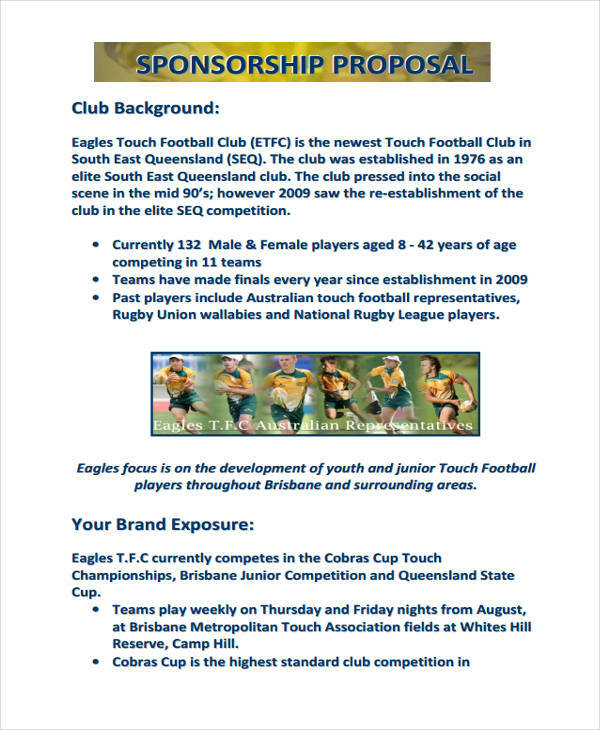 Sponsorship proposals come in different formats. 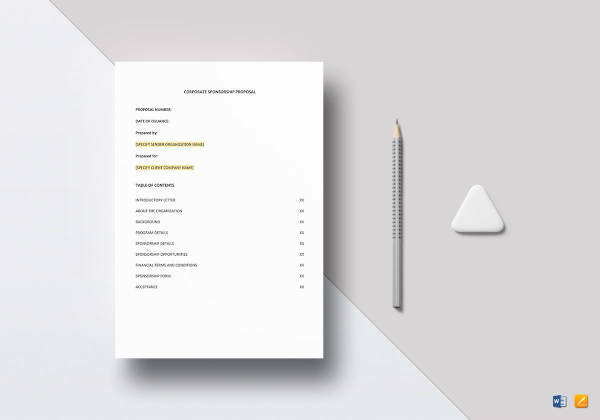 The most common ones are proposal examples in doc and proposal examples in pdf. This method is practiced in various fields including schools, companies, and even sports. 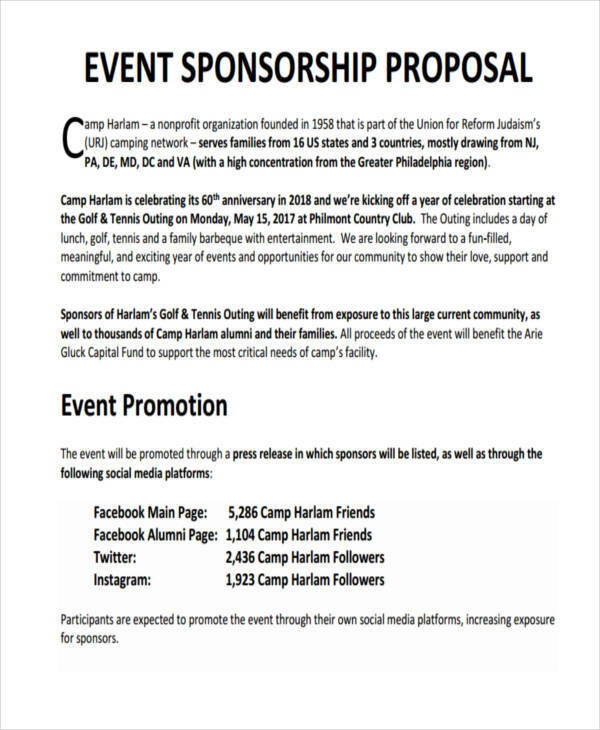 Sponsorships open opportunities for business growth, brand recognition, and consumer awareness, which most companies and organizations want. 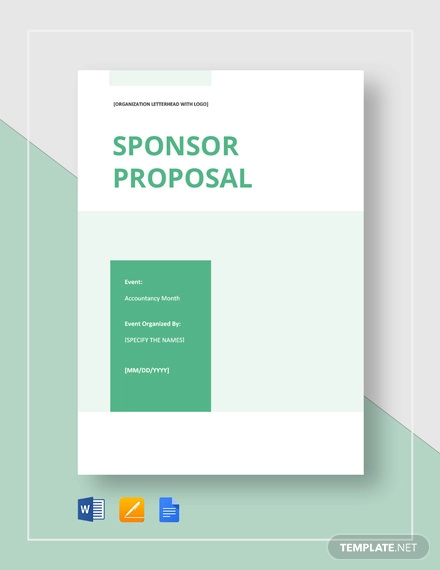 When you know how to write a proposal for a project, you will have enough idea of how a sponsorship proposal is done. Writing the best proposal can win you multiple benefits. Start with a good introduction. 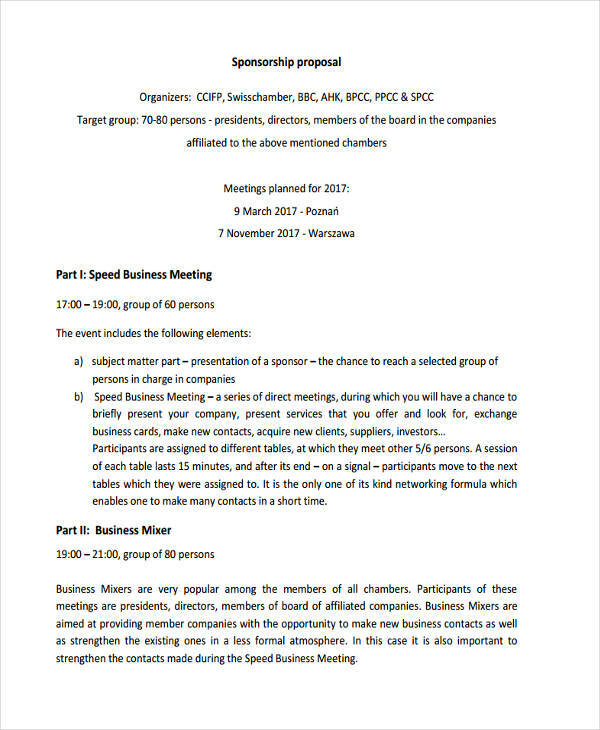 The best sponsorship proposals always start with explosive introductions. Not to mention the vibe that it brings to the person who reads it. Tell something about the event. 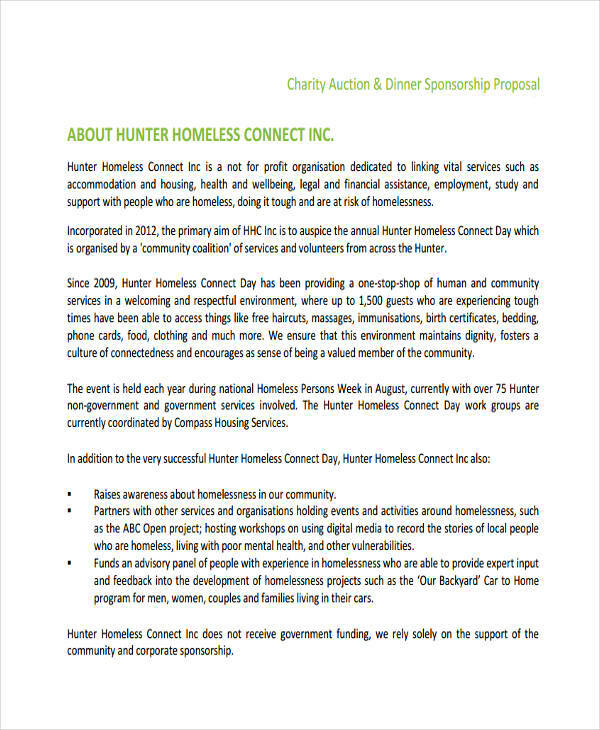 Write a brief but concise description as to what the event is all about and the story behind it. Sell the benefits. This is the part where you have to sound extra convincing. 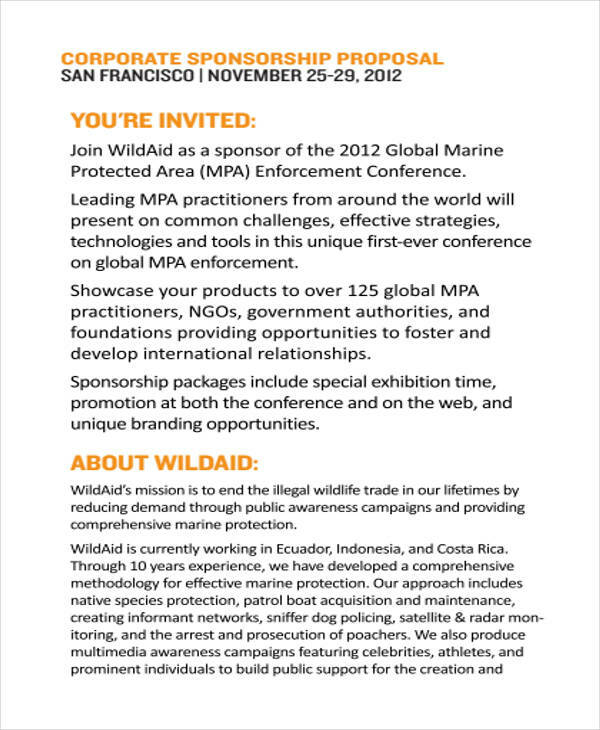 Lay down all the benefits of the event to your target sponsor. 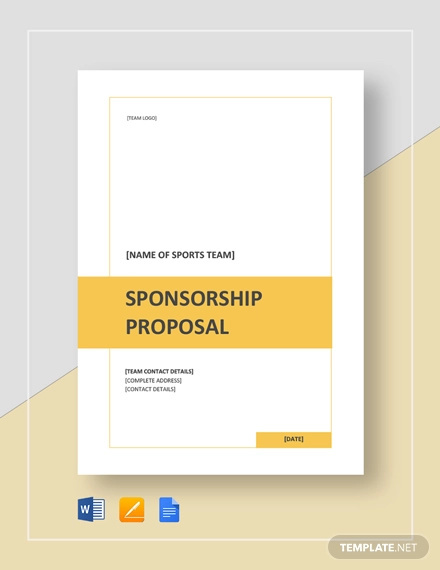 The most common sponsorship proposals are during sporting events and business proposal. 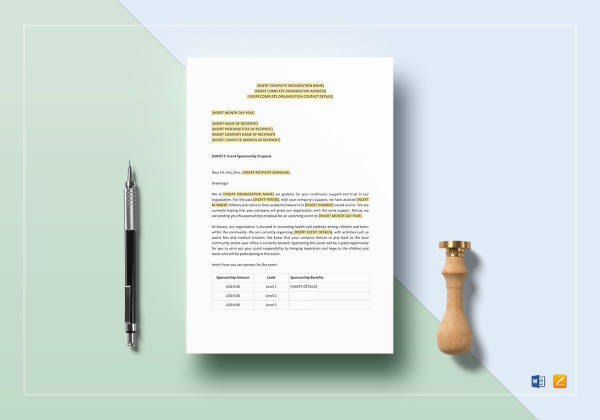 You will notice it because logos and fliers are all around with the company names written in bold and colorful letters. Be personal. 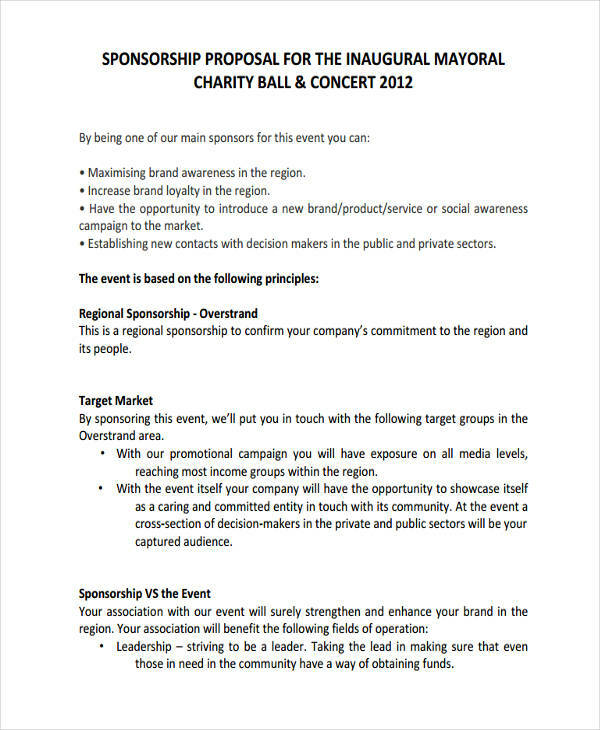 When expressing your intention to get a sponsorship, do not sound monotonous. Write from the bottom of your deepest desires and purest motive. Practice salesmanship. The secret behind every salesman’s success is the ability to convince a person without being too pushy. Use this skill to your advantage. Show firmness. Be firm with every personal statement that you provide. Do not give half-baked reasons because people will know if you are sincere or not. 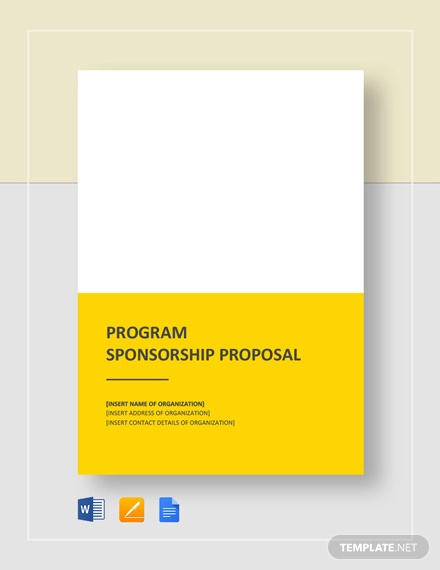 When you are aiming to make that perfect sponsorship proposal, remember the most basic rule. Practice makes perfect. In addition to that, you need to remember some important tips. Research. Do a thorough background check on your prospected sponsor. Check for any history of declines and know the reasons so you can avoid saying things they might not like. Establish a good relationship. Try to build a mutual relationship with the owner or in charge of handling public relations so can put a good word ahead. Be positive. Avoid any negative statements or anything that could detract your purpose. Set an objective so you have a guide.